General Motors is actively developing a series of all-new mid-sized crossovers, GM Authority has learned from sources familiar with the project. While we were unable to pin down the actual platform that these vehicles will utilize at the time of this writing, we do know that they will be available in 2-wheel-drive and 4WD/AWD configurations. However, the platform will provide for “superb ride and handling” characteristics and the vehicles will “stun the industry” in terms of exterior styling. Moreover, exterior design for the new crossovers, which will be available in Buick, Chevy, and GMC flavors, has been completed and approved and is said to be “unmatched”. Those set against badge engineering (as they rightfully should be) shouldn’t fret, however, as the vehicles will display “huge amounts of differentiation” and will be “how platform sharing success is measured in the industry” going forward. The vehicles are said to be available on a global scale. 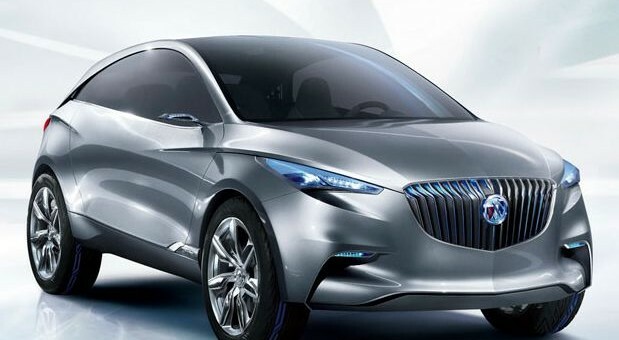 The Buick variant of the crossovers will be shown first at a major auto show in the “near future” and will most likely wear the Envision nameplate. Considering that a refreshed Enclave is going to be revealed in New York in a few short weeks, we’re expecting it to be unveiled during the next auto show season this fall. Stay tuned to GM Authority for the latest GM News and as we learn more. GM Files To Trademark ‘Envista’ – Is It For A Future Buick? A modified version of the Epsilon II platform? is it on FWD/AWD application? This is a new completely redesigned chassis no name given to public at this time, lightweight and strong all applications can be used fwd awd and a differant form of rwd in certain configurations, this will have electric configuration also you hit it right the design is stunning and futuristic. the project is well on it’s way and will have the tightest security ever on a project. they will get great fuel economy on some iterations and be fast in other forms. You will like. JD, what happened to the Gamma-based CUV that you talked about? Remember, the Subaru buster. To me, the new Subaru CrossTrek will be nice, except for the automatic transmission, which kills it. This is exciting news. I wonder what MY these will become available. I am already doing ‘early’ shopping for a replacement to my wife’s ’08 Torrent. She like the Terrain a lot and I’m leaning to the Equinox. An all new CUV line up is just the ticket. This sounds bigger than Gamma, but very appealing. This is fantastic news. The Encore is a HUGE disappointment to me. Is this platform intended to be for the next-generation Equinox/Terrain? Or an entirely new CUV that slots beneath them and fills the Vue/Captiva niche? The Encore, to me, seems to be more of a somewhat more upmarket Vibe or HHR replacement. That’s the question of the month, if not the quarter. No one seems to know… and if they do, they’re not telling us. We’ll keep digging, but at this time, your guess is as good as mine. Sounds like it should fit in, Buick needs to fill that gap. Now driving Buicks being GM took Olds (Olds always had a better standing than Buick) away we will be looking for a suv. Encore too small not american- Envision (made in CHINA so I will not buy either ) Enclave too big. The market now is for mid-size suvs so why did GM/Buick come out with a suv that is too sm & a conv, not a mid-size suv? What the hell are they thinking? Working as a Pont-_Olds- Buick- Gmc- Cad service advisor in the 70s thur 2008 it seemed there were better models in all divisions made in USA . Save American jobs.